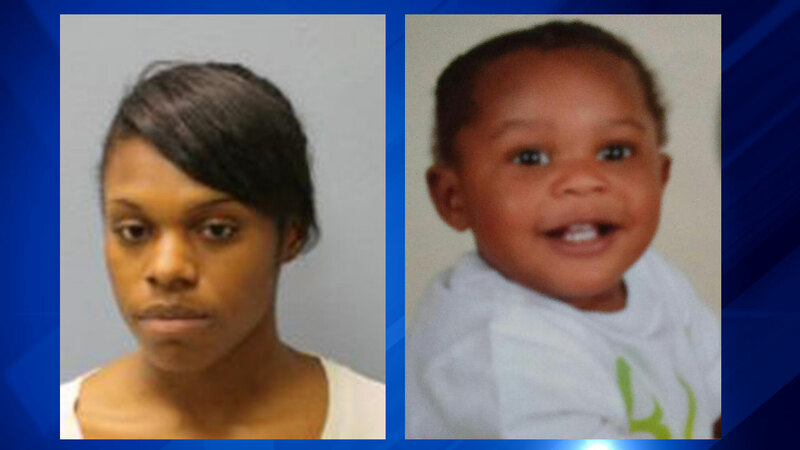 CHICAGO (WLS) -- Police are looking for a 17-year-old girl who is accused of abducting her 1-year-old son, Beyoun Collins, during a supervised visit with him on the city's West Side. Solonia Anderson was with her son at the Greenebaum Playlot Park, located at 4300 W. Wabansia Ave., when she fled with the child at about 1:15 p.m. Friday, police said. "Anderson does not have lawful custody of the victim," officials said in a statement. Anderson is described as black, five-feet-tall and 115 pounds. She has medium-length black hair and brown eyes. She was last seen wearing a gray-colored tank top and black shorts. Beyound is described as black, 2-feet-5-inches-tall and 25 pounds. He has black hair and brown eyes. He was last seen wearing a red-colored T-shirt and black shorts. Anyone with information is asked to call Chicago Police Department at 312-744-8200. Anonymous tips can be submitted to www.tipsoft.com.